If you’ve been paying attention to anything related to food and nutrition for the past few years, you know that kale has taken center stage. Yes, kale is a superstar. And just like any successful pop sensation, it’s everywhere. Kale smoothies. Kale chips. Kale pasta. Kale pizza. Grocery stores and chic restaurants are full of kale-infused products. But is it really worthy of all the hype? The Centers for Disease Control and Prevention released a study in 2014 performed by William Paterson University ranking foods based on their “nutrition density” – foods that are considered “powerhouses”. A name you may be more familiar with is superfood. While there is actually no official definition for a superfood, it’s usually considered to be a food item that contains high levels of needed vitamins, minerals, and antioxidants. You eat a superfood when you want something guaranteed to be healthy. So, is kale one of these superfoods? Yes. But is it the greatest superfood of all time? Not even close. In fact, I was surprised that kale was placed so far down the list compared to other items. So I’ve created a list of 12 foods guaranteed to be better for you than kale. Here they are in descending order of their “powerhouse” ability. Have you tried any of these superfoods? Leave your answer in the comments below. Coming in at #12, the bitter-yet-tasty mustard greens received a ‘nutrition density’ score of 61.39. The ‘nutrition density’ score used throughout this list, is based on how much of each daily nutrient the food provides. Eating mustard greens are a healthy, natural way to lower your cholesterol because of its effects on bile acid, is full of vitamin K, and contains 35% of your daily value (DV) of vitamin A – an antioxidant known for its benefits in keeping your eyes and mucus membranes happy and healthy. Try them with lemon juice, you won’t regret it. 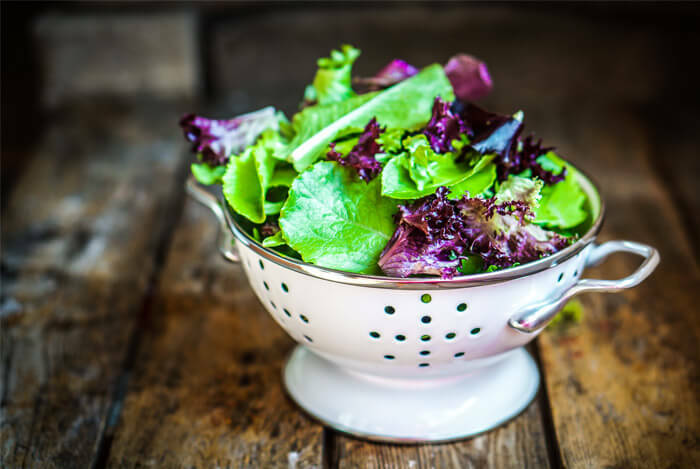 With a score of 62.12, turnip greens have a few definite advantages over kale, including a higher iron content and more glucosinolates, which have been shown to inhibit growth of cancerous cells. These leafy veggies have a variety of health benefits, with a solid supply of vitamins, antioxidants, and minerals. Also part of the Brassica family, you can find most of the turnip green’s nutrients in the leaves, including its excellent supplies of vitamin A (220% of your daily value!). If you grew up in the southern US, you’re probably intimately familiar with collard greens. 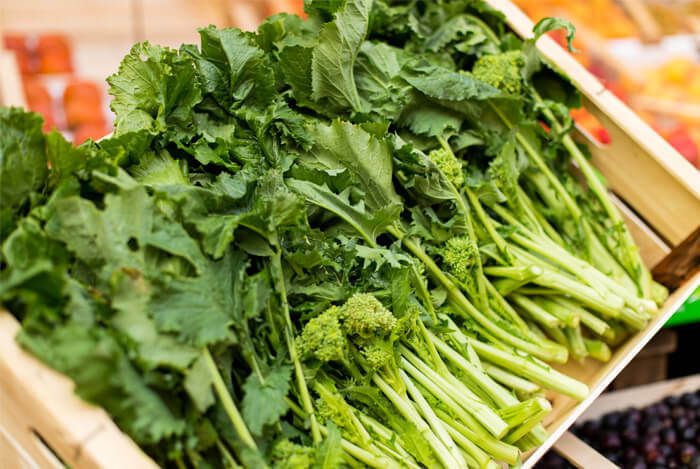 A regular staple of southern cooking, these leafy green veggies received a score of 62.49. Loaded with carotenoids, vitamin K, vitamin C, vitamin E, folate, and manganese, collard greens offer lots of benefits over kale, while staying cheaper. A study comparing the effectiveness of a prescription drug called Cholestyramine to collard greens in their abilities to lower cholesterol found, amazingly, that steamed collards were 13% more effective. So, go ahead, throw a big handful of them into a pot and serve them up with your next meal. If you’re looking for the healthiest possible salad combination, start out with romaine lettuce. 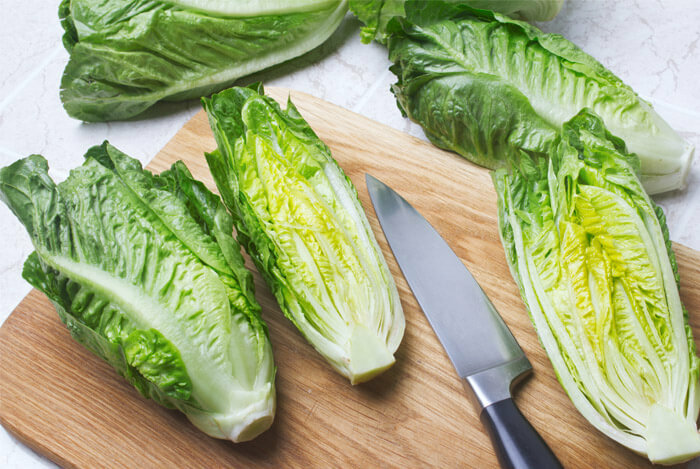 At number 9 and a rating of 63.48, romaine lettuce has plenty of nutritional value, containing considerable amounts of vitamins, minerals, and phytonutrients. Romaine lettuce has an extremely low calorie count while being full of vitamins A and K, molybdenum, manganese, potassium, biotin, vitamin B1, copper, iron, and vitamin C.
It’s also a good source of omega-3 fatty acids, which your body can’t get enough of as it can’t produce them on its own. With a high count of folate, romaine lettuce helps boost male fertility. A study in Fertility and Sterility found folic acid supplements could benefit sperm counts. Folate also shows a benefit in battling depression. The world’s most popular garnish, you can already find parsley hanging out on all sorts of plates found in restaurants and common dishes. But you might not have known it was a superfood. 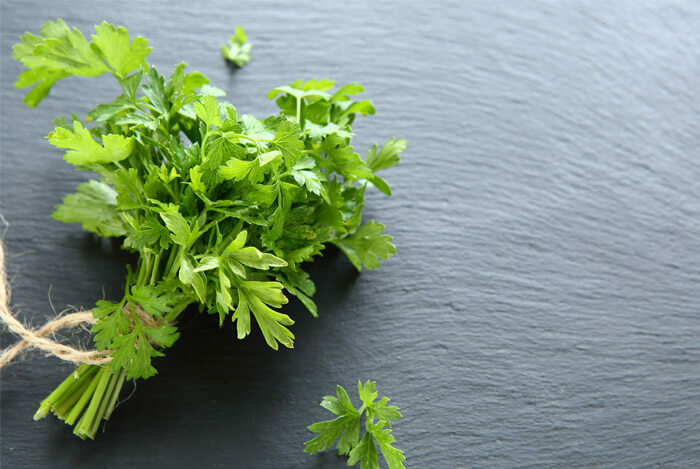 At number 8, with a nutrition score of 65.59, parsley is simply packed with nutrients. And you’ve probably been ignoring it for most of your life, haven’t you? Admit it. It’s okay. Parsley is rich in chlorophyll, which gives plants that green color we’re so familiar with. Chlorophyll helps the body purify the blood while creating new red blood cells more efficiently, improving the cellular oxygenation process that gives more energy to cells. So stop ignoring it, chop some up and include it in all your salads or as a garnish sprinkled over meals. Yes, this stuff is everywhere. Yet it’s been completely underestimated in its capacity as a superfood. At a surprising #7, lettuce has a nutrition score of 70.73. 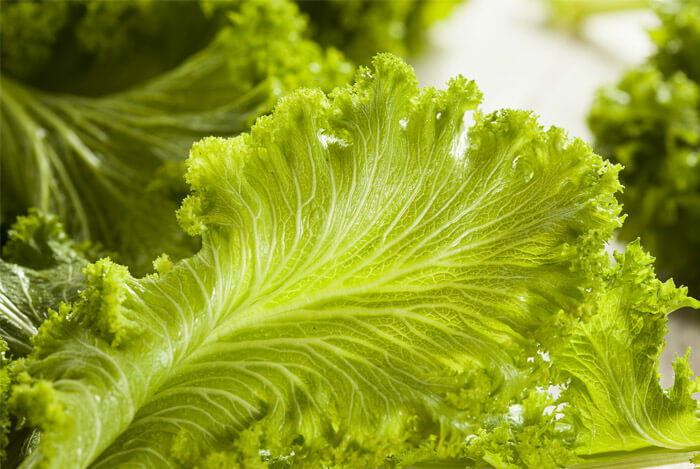 A cup of leaf lettuce contains only 5 calories, is water-rich and high in fiber. I can hear the carnivores out there dismissing it as rabbit food, but they’re missing out on how filling lettuce can be. It only contains 2 carbohydrates per cup and almost zero fat, and can be used in place of bread or a tortilla in a lettuce wrap. It contains vitamin C and beta-carotene, which together help prevent high ‘bad’ cholesterol. You know how when you break a head of lettuce open, you see some white fluid spill out? That’s called lactucarium, and it has properties similar to opium, but without the intense side-effects. It doesn’t have to be the main course, but it should definitely be included whenever available. Number 6. We’re really getting down to some of the best foods ever. 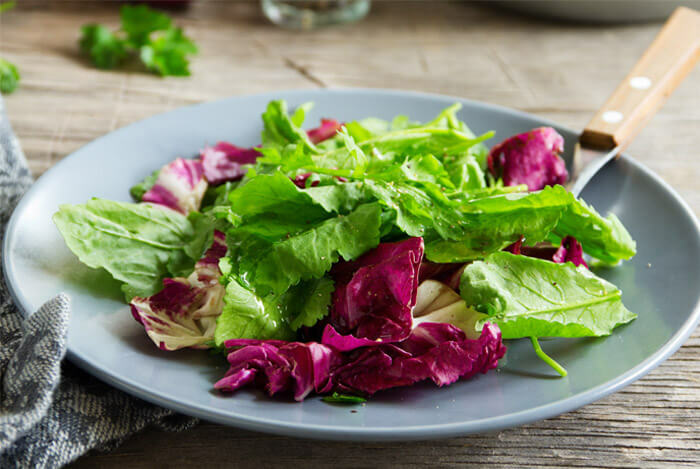 The leafy red vegetable chicory has an impressive nutrition rating of 73.36, and has ties to ancient health practices stretching as far back as the Roman Empire. Full of essential minerals, amino acids, fiber, cellulose, powerful micronutrients called polyphenols, along with vitamins A, K, B6, C, E, chicory is pretty great. It has various health benefits such as fighting heart disease, and because of its high levels of inulin, a powerful probiotic, it helps improve the digestive and immune systems. Thanks to its high polyphenol levels, it has anti-tumor and antioxidant properties and has been used as a treatment for arthritis pain, weight loss, constipation, anxiety, and kidney health. Spinach is #5 on the list with a rating of 86.43. It’s the original green superfood, packed with vitamin K for your bones and blood health. 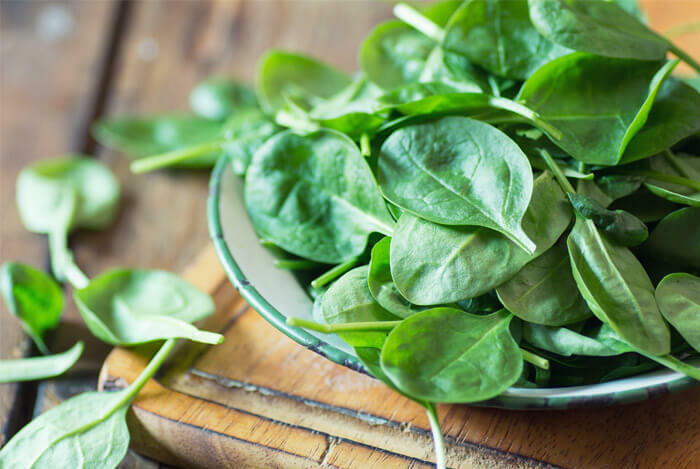 If you eat a cup of boiled spinach, you’ll be getting 1100% of your daily value of vitamin K, for only 42 calories. Spinach is also loaded with vitamin A, manganese, folate, magnesium, iron, vitamin C, vitamin B2, potassium, calcium, and vitamin B6. A study at Lund University found that consuming spinach in the mornings, in the form of a shake, could significantly lower hunger throughout the day and promote weight loss. Boiling organic, fresh spinach is the surest way to guarantee your spinach is free of any pesticide residue, and to remove the high levels of oxalic acid it contains. If you have kidney problems, oxalic acid has been linked to kidney stones and gallstones, so be careful. Whether you like to pile spinach on top of your main course or eat it in a salad, you’d be doing great things for your health by keeping it around. 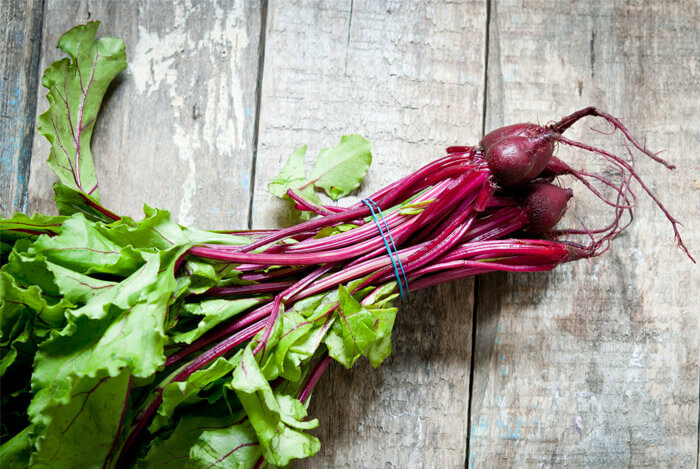 Coming in at a respectable 4th place, beet greens had a nutrition density rating of 87.08. Not too shabby. With 15% of recommended daily iron and 25% recommended magnesium intake in one cup of beet greens, this dark leafy vegetable is seriously nutrient-rich. Recent research from the University of Leeds found that cardiovascular disease risk was significantly lower for every 7 grams of fiber eaten. A single cup of these veggies will give you 5 grams of fiber, more than you’d find in a whole bowl of oatmeal. Beet greens also show great benefit in the area of carotenoid richness, with rich concentrations of beta-carotene and lutein, which play a powerful role in good eye health. This name makes me chuckle. I don’t know why. Aside from it sounding funny, chard is actually extremely good for you, ranking #3 on the list with a rating of 89.27. A single cup of chard has only 35 calories, but 300% of your daily value of vitamin K.
Chard goes by several other names, including silverbeet, Roman kale, and strawberry spinach. This is likely due to its appearing in a variety of colors – red, white, yellow, and green. Studies have shown that chard contains some 13 different polyphenol antioxidants, which can offer you some serious muscle in the fight against type 2 diabetes. It also includes the flavonoid kampferol, which helps protect the heart, and syringic acid, a natural ally in blood sugar control. 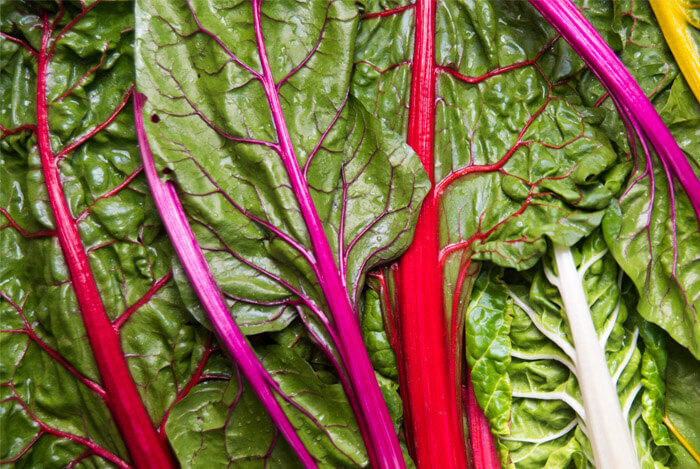 Chard also packs a huge amount of vitamin A, and is naturally high in sodium (313 mg in a single cup), calcium, phosphorous, iron, and magnesium. And now we’re closing in on our top powerhouse nutritious veggies. So close…Chinese cabbage, but you didn’t quite make the top spot. At a crazy-high second place, with a nutrition profile of 91.99, you’d still be working wonders in your body by including this stuff on your plate. 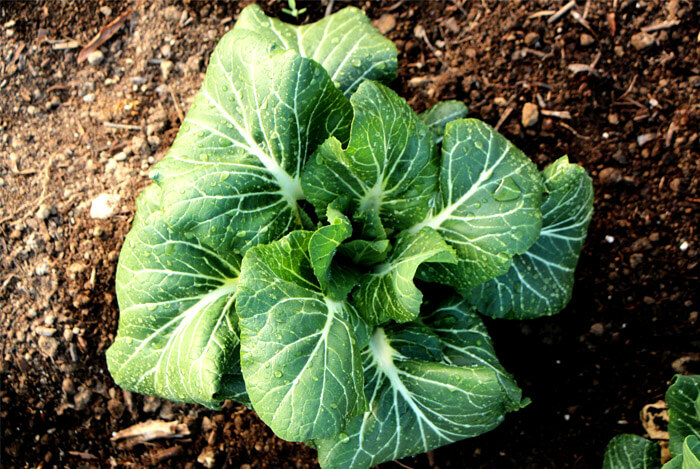 Going by the alternative names bok choy, celery, or Napa cabbage, this vegetable is a rich source of calcium and iron. It also contains the omega-3 fatty acid alpha-linoleic acid – about 70 mg in a single cup. Like other cruciferous veggies, it’s known to have the incredible ability to turn off inflammation markers known to be a factor in heart disease. A study published in the Journal of the Academy of Nutrition and Dietetics found that people who ate around 1.5 cups per day of these cruciferous vegetables had around 13% less inflammation than people who ate the least amount. 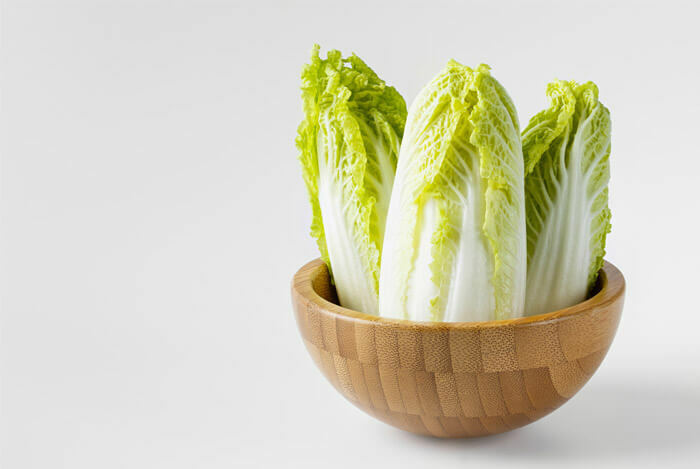 Sauté Chinese cabbage with lemon juice for best results. And, drum roll please…the unanimous victor…watercress! Watercress is a ridiculously awesome superfood with a nutrition profile of a perfect 100. Ranking at #1 on the CDC nutrition density list, watercress packs a crazy 238% of your daily value of vitamin K, a valuable weapon in the fight against aging. It’s also the highest natural source of phenylethyl isothiocyanate, or PEITC, which studies have shown is linked to fighting cancer. Watercress has 72% of the daily value of vitamin C, which helps fight infection, colds, and flu. It contains 64% of your daily value of vitamin A, which bolsters the immune system and produces pigments in the retina of the eye. And it contains manganese, calcium, and antioxidant flavonoids like beta carotene and lutein. A study at the University of Ulster showed eating watercress daily could significantly reduce DNA damage to blood cells caused by free radicals. 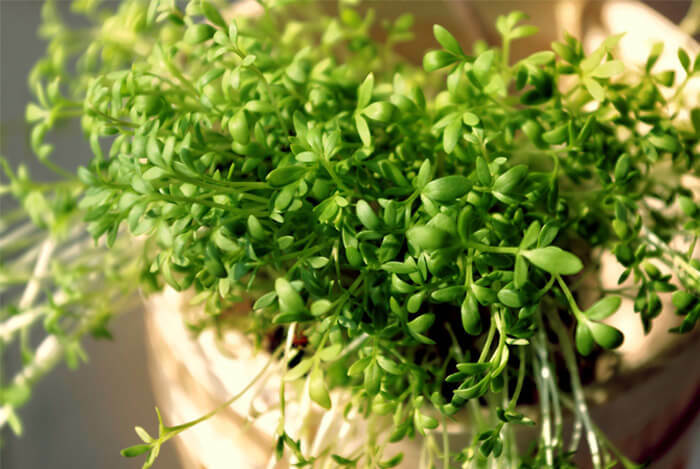 Watercress is commonly used to fight bronchitis, coughs, flu, and swine flu. Some people swear by its topical benefit, applying it directly to the skin to help with arthritis, eczema, scabies, and warts. And it’s super versatile. It can be eaten in a salad, mixed with romaine or leaf lettuce. You can steam it and eat it as a side dish. It can be added to soups for what it adds to flavor. Each and every one of these superfoods can be officially considered more nutrient dense than kale. Still, I’m not saying you should condemn the trendy veggie altogether – it’s still highly nutritious and pretty tasty. In fact, I even discussed all of the benefits of kale in a recent article. But, think back to my list next time you go grocery shopping. Now, instead of just reaching for the kale, you’ve got a whole plethora of wonderfully nutritious and delicious vegetables to play around with!